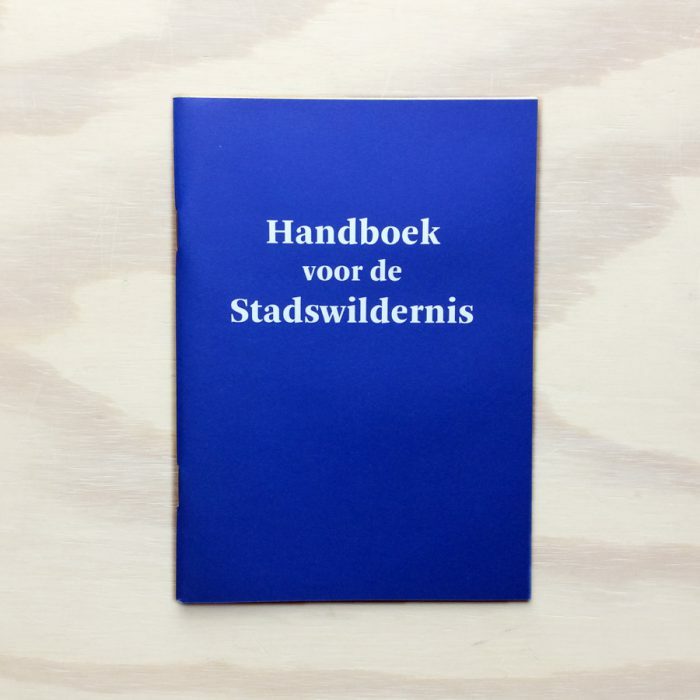 Handboek voor de Stadswildernis or Handbook for the City Wild is a small guide for survival in the city. 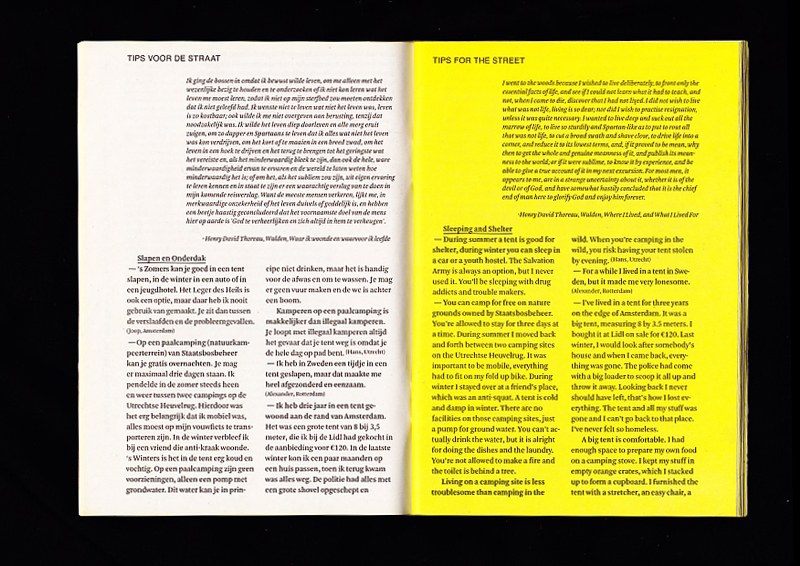 The inspiration for this publication was the American zine Dwelling Portably, written and published by Bert and Holly Davis. In their typed records the Davises give tips and manuals for an autarchic life in a self build shelter. Besides they collected tips of other Americans living in tents or buses and who choose an independent way of life over a job and a house. All contributions are characterized by an incredible creativity in ways of finding free food, recycling materials and the utilization of informal economies. Dwelling Portably made me want to find out if a life off the grid is possible in the Netherlands. The fringes of the big cities became my field of research. 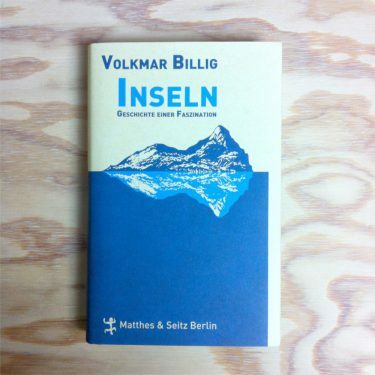 The main part of the book consists of tips organized in different sections: Sleeping and Shelter, Food, Clothing, Money, Dangers, Rain and Services. These tips are extracted from interviews Doris Denekamp conducted with people living in the fringes of the city without a regular home. No and then these tips are interspersed with short fragments from Walden by Henry David Thoreau. This classic from 1854 is one of the first records of an autarchic way of life for the purpose of maintaining an independent and critical position towards the state. The people Doris Denekamp has interviewed live in huts, tents and boats and sustain themselves with the selling of the street newspaper, barter and other creative solutions. The fact remains that a homeless life is often extremely hard, lonely and unhealthy – and in most cases not a voluntary decision. Nevertheless Doris Denekamp find the way in which the interviewees utilize the resources of the city in a creative and informative way very valuable. Dumpster diving, barter trade and a frugal existence seem fruitful alternatives for the exploitation of neoliberal capitalism. 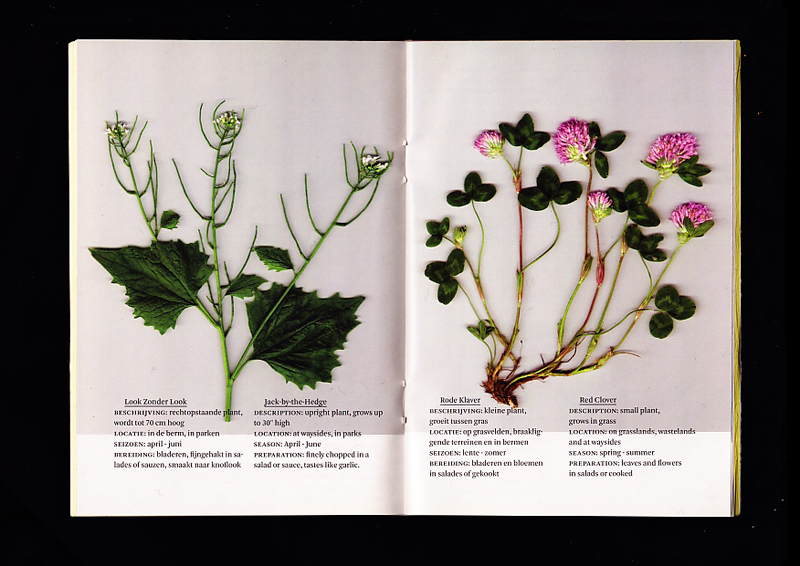 The middle section of the book contains a small guide for edible city weeds like Ground Elder, Nettle and Jack-by-the-Hedge. 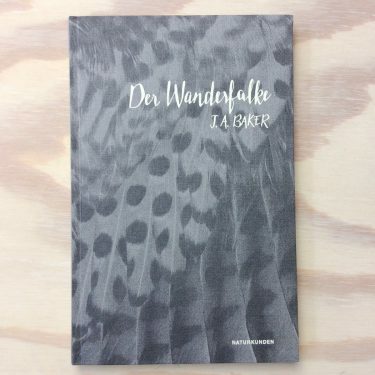 The publication ends with an essay contributed by the Brazilian design professor Maria Cecilia Loschiavo, expert on the homeless recyclers in São Paulo. She describes the practice of these recyclers as an emancipating method to both regain a position in society as to inhabit a critical stance towards the society of waste. 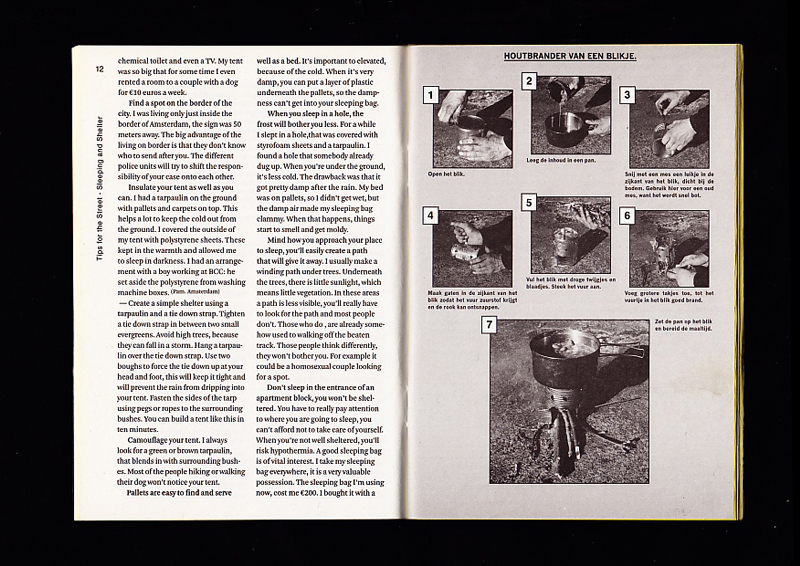 The survival guide was first published in the street newspapers of Utrecht, Den Haag and Amsterdam. 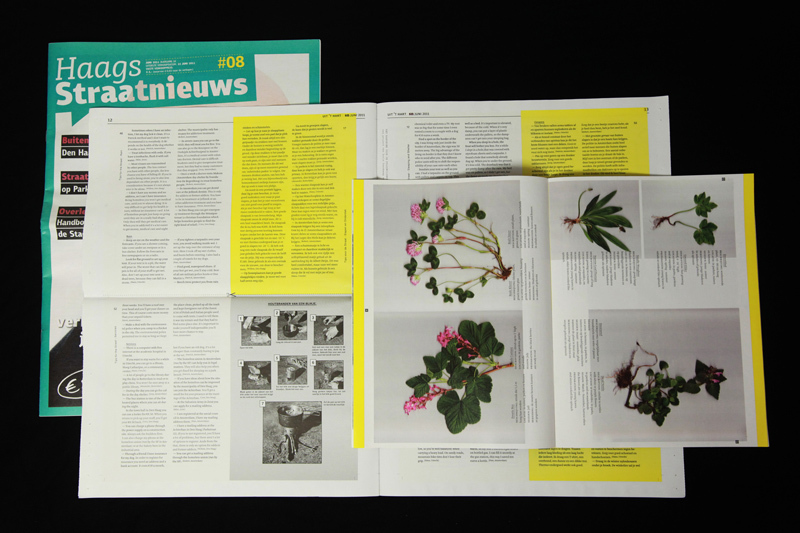 Each of these magazines published a few spreads of the book on their middle pages. 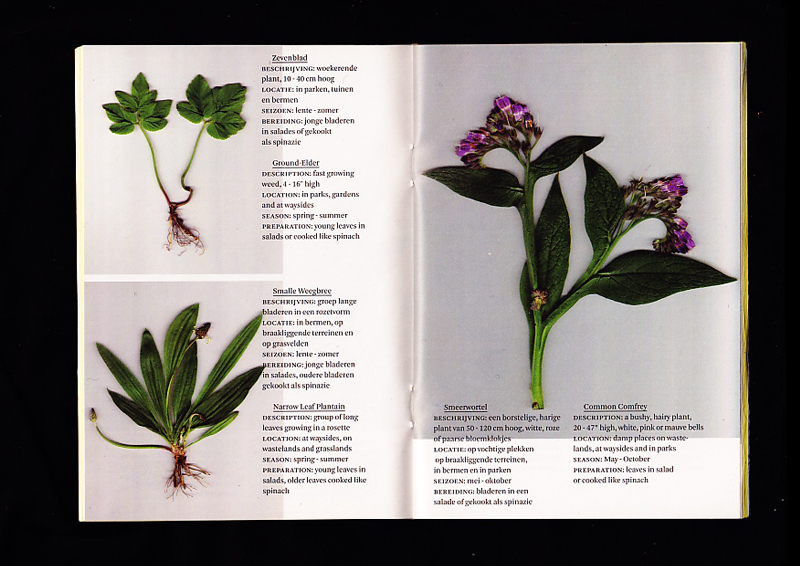 Readers where able to collect and self assemble the handbook out of these spreads. 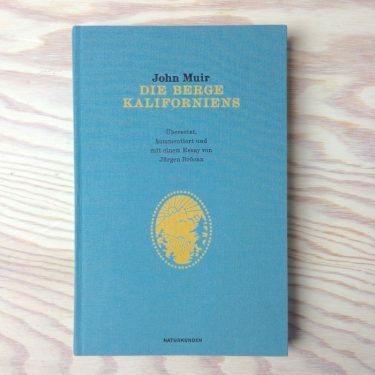 Next to this there is a special edition of 700 copies with a cover. 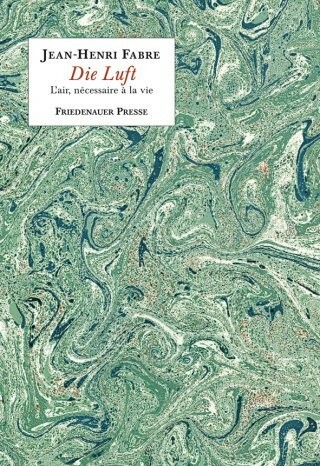 In this book the pages of the different newspapers are still recognizable by the different types of paper.